Why is breast cancer detection important? Breast cancer is the most common cancer among Latino women. We're creating a fotonovela to reach these women and inform them on how powerful screening and early detection is in the fight against breast cancer. Your contribution will go directly to help support the production of this project. We're creating a new fotonovela to let women and their families know the importance of early breast cancer detection. Many low-literacy populations don’t understand why they should be screened. We aim to change that and save lives. A fotonovela is a story told through photos and limited text in a soap-opera style. This medium is well known among Latinos, and we've created many successful fotonovelas in the past. They help people understand health issues and motivate them to take steps to stay healthy. Since the year 2000, the mission of the USC School of Pharmacy Health Literacy Program has been to develop, distribute, and evaluate health-related media for underserved and low-literacy Latino populations. We serve communities that lack health insurance and have poor access to regular health care services. This production will be culturally tailored and reading level appropriate in both English and Spanish. Our productions are designed to entertain, as well as inform, our target population. The need for innovative health media as educational tools is evident through the increasing awareness of the staggering impact of diabetes, obesity, and other chronic diseases in the United States, particularly among Latinos. The development of culturally and linguistically appropriate material for the Latino community will help reduce stigmas that people associate with health care and educate about the most prevalent health conditions. With this in mind, our overall goal is to produce health related media that will educate and engage. We hope to increase awareness, knowledge, and change attitudes – and ultimately change behaviors by encouraging preventive health actions and compliance to therapies. Your contribution will be used to help fund the art photography and editing of a fotonovela on breast cancer. Currently, this kind of communication tool is lacking and many women don’t understand the importance of screening and prevention. As we have done in the past, our USC School of Pharmacy team will work with community clinics, pharmacies and other health leaders to ensure that our message is effective and engaging. We have a formula for success within the Latino community and will use it again to reach women and their families with important messaging on breast cancer.. Producing a fotonovela involves many parties including actors, artists, scriptwriters, videographers, etc. For this project, we're raising $5,000 to cover the cost of art photography and editing. 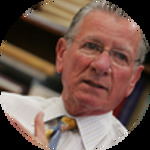 Melvin F. Baron, PharmD., MPA, is Associate Professor of Clinical Pharmacy at the USC School of Pharmacy. He received his Pharm.D. in 1957 and his MPA in 1973, both from USC. Dr. Baron was in private practice from 1957 to 1987 and developed a unique home health care center providing infusion therapy, ostomy care, durable medical equipment, and respiratory and incontinence care. He joined the USC School of Pharmacy faculty on a part-time basis in 1981 and became a full-time faculty member in 1990. As a member of the clinical faculty, Dr. Baron serves as the Director for the first level externship program, which he helped create. In addition, he is the co-director of the PharmD/MBA Program and is responsible for teaching clerkships in Pharmacy Administration. Dr. Baron serves as a consulting pharmacist for several community clinics that serve indigent patients in Los Angeles County. He is a member of the California Safety Net Alliance Pharmacy & Therapeutics Committee. He is a Fellow of the California Pharmacists Association and the American College of Apothecaries. Dr. Baron's professional affiliations include the American Association of Colleges of Pharmacy, American Society of Health-Systems Pharmacists, American Pharmaceutical Association, California Pharmaceutical Association, Fellow - American College of Apothecaries, and American Public Administration Association. He is also a member of Rho Chi Society, Faculty Advisor to Phi Lambda Sigma, and has been honored as the Preceptor of the Year and the Distinguished Alumnus of the Year. In 2008, Dr. Baron was named "Pharmacist of the Year" by the California Pharmacists Association. He and other faculty colleagues received the 2009 Transformative Community Service Award of the American Association of Colleges of Pharmacy. In 2011, Dr. Baron won the Pinnacle Award from the American Pharmacists Association for his fotonovela projects. Fotonovelas Find Validation in Studies "Independent studies by the Institute for Health Promotion and Disease Prevention Research at USC and the Healthcare Management Corp. found that Sweet Temptations, a fotonovela produced by the USC School of Pharmacy, successfully increases diabetes awareness and knowledge in the Latino community." Don't Forget to Read the School of Pharmacy's Latest Fotonovela "An estimated 35.6 million people worldwide are living with dementia, according to a report by Alzheimer’s Disease International. With such a startling number of people suffering from the group of brain diseases that affect intellectual and social abilities severely enough to interfere with daily functioning, it’s no surprise that associate professor Mel Baron chose dementia as the focus for his newest fotonovela, entitled “Forgotten Memories.”"
From Fotonovelas to Field Work: Creative Approaches to Health Literacy Highlighted at a May 25 L.A. Conference "Melvin Baron has spent his career educating the public about health and medicine, first as a pharmacist and then as a USC Associate Professor of Clinical Pharmacy. He's 77 now, and he confesses to some frustration with the handouts that pharmacists and doctors use to inform patients about health and medicine."